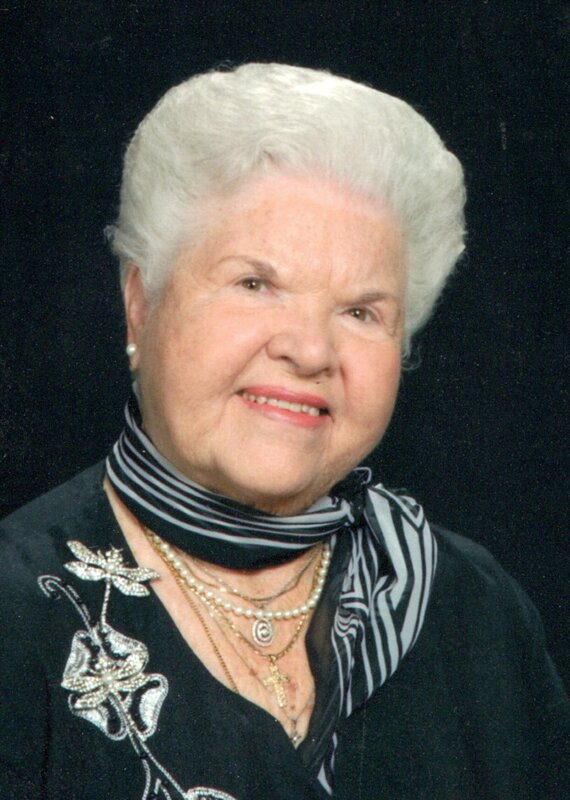 Eleanor A. Kammerer, 97 of Taylorville, passed away at 11:30 p.m. on Saturday, March 23, 2019 at Taylorville Care Center. She was born on October 26, 1921 in Roodhouse, the daughter of Charles H. and Gertrude M. (Greenwalt) Garner. She married Leslie Conrad Kammerer on October 8, 1949 in Taylorville. He preceded her in death on September 12, 1984. Eleanor graduated from Our Savior’s Hospital School of Nursing and worked for many years as a Registered Nurse in Jacksonville, St. Louis, and Chicago. One of her proudest career moments was caring for Senator Bob Dole when he suffered injuries during his time in the service. Eleanor was an active member of Davis Memorial Christian Church where she was involved in many areas of ministry in the church. She was also active in many organizations within the community including the Kiwanis club, Taylorville Memorial Hospital Board of Directors and Auxiliary, Taylorville BPW, Red Hat Society, Christian County YMCA Board of Directors, and a supporter of the Taylorville Public Schools Foundation. She was part of the Taylorville Christmas Home Tour and Garden Walk and lead historic tours around the Christian County Courthouse. In recognition of her dedicated community involvement, in 2006 Eleanor was named the Outstanding Citizen of The Year by the Greater Taylorville Chamber of Commerce. She had a love of traveling and enjoyed many trips throughout the years both in the country and to Europe. Some of her favorite trips were those to England, France, Germany, and Ireland. She enjoyed going to garage sales and had collected many antiques. She is survived by her brother: Chuck Garner, wife Joann; niece: Susan Jackson, husband Alan; great nephew: Blake Jackson, fiancée Melanie Carden; and great-great niece Charlotte Jackson all of Taylorville and several cousins. She was preceded in death by her parents, husband, and sister and brother-in-law: Chloe and Ben Waller. Memorials may be made to the Davis Memorial Christian Church or the Taylorville Public Schools Foundation.